If you know me, you know simple is my middle name. Ok, not really. My parents didn’t give me a middle name but if I had to choose a middle name it’d be Simple. Or Grace. Maybe I should call this treat Grace Bark. 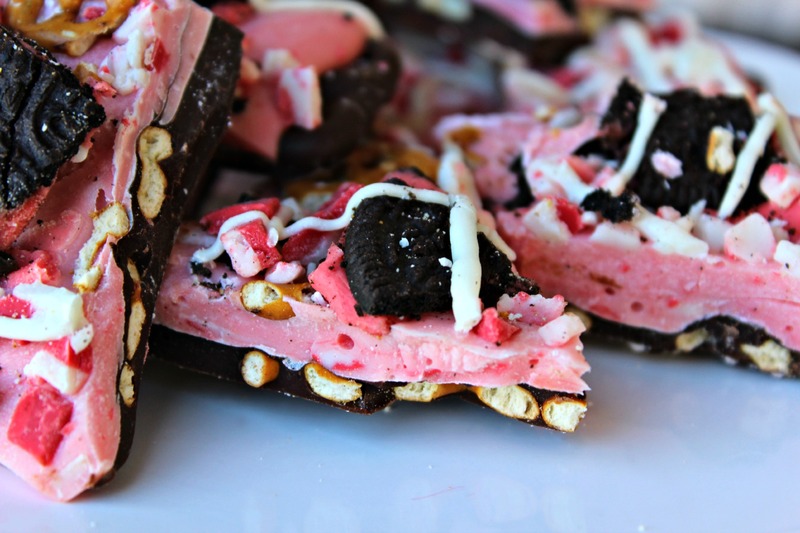 But Chocolate Peppermint Bark fits it much better. The simple is just implied. This is such an easy treat that everyone will love. It doesn’t take long to set up and you can add any of your favorite combinations to give it a different flavor. My coworkers and my local firefighters were the recipients of this treat this week. Have you ever taken treats to firemen? They love it. Whenever I take treats to the fire station, they are always so appreciative and as often as I hear their sirens, they deserve something every now and then. This turned out so great I’ll be making it for a family gathering this Christmas too. 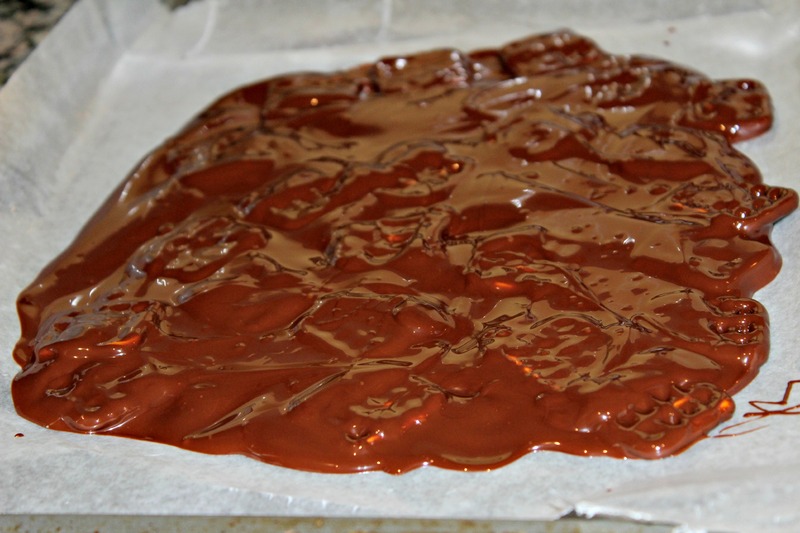 Prepare a baking sheet by placing wax paper on the cookie sheet. Set aside. 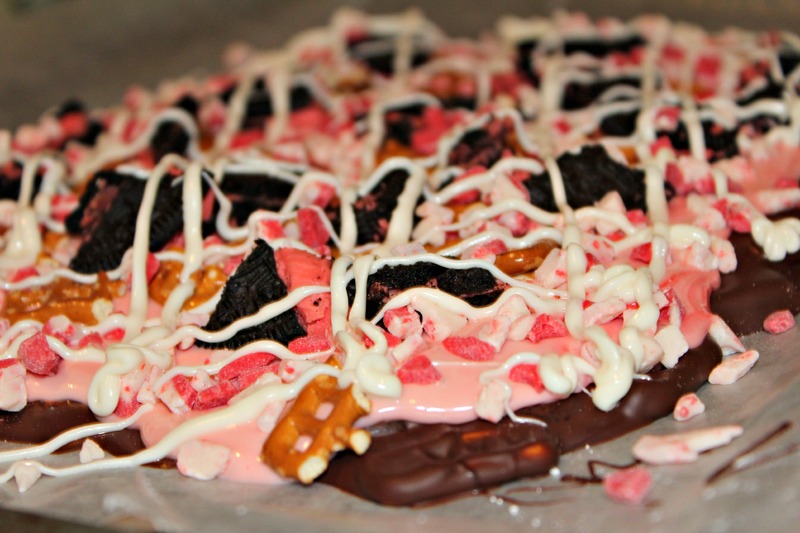 Mix in half of the pretzels into the chocolate. Spread mixture over wax paper. Let set for an hour at room temperature. Chop remaining pretzels and Oreos. Melt white chocolate. 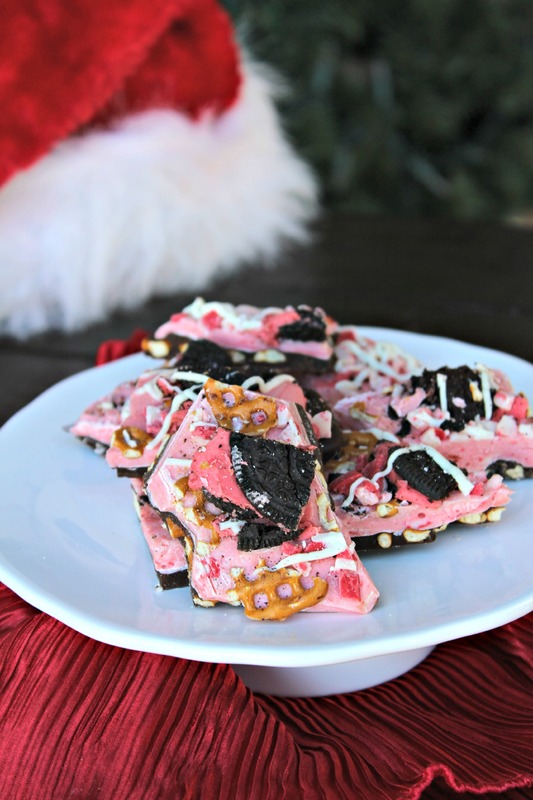 Remove from heat and add about half of the peppermint crunch baking chips. Mix together. Spread over set chocolate. 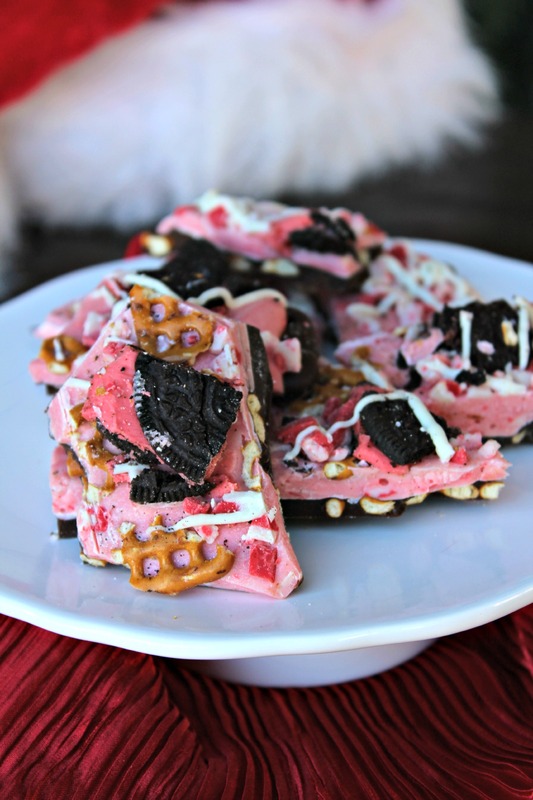 Top with pretzels, Oreos and remaining crunch. Let set at room temperature for several hours. Break into pieces.